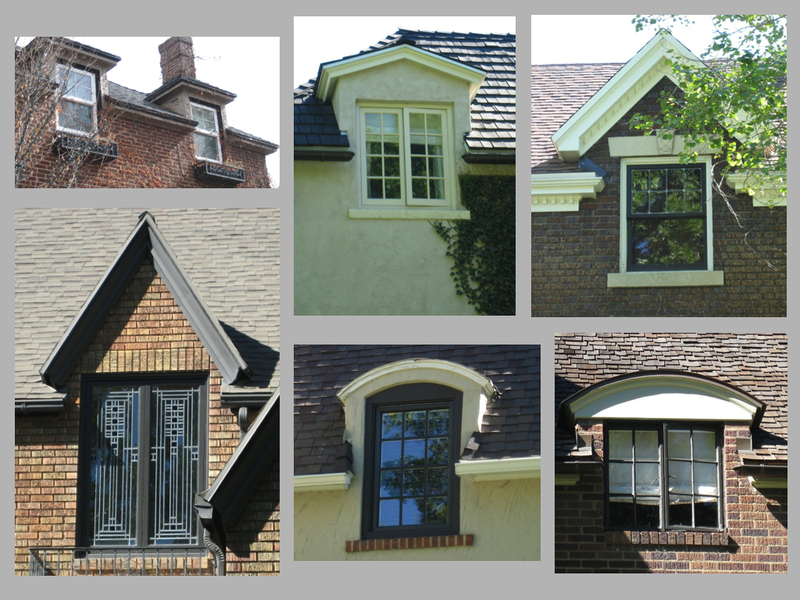 Wall dormers are an interesting and unique architectural feature seen on some Period Revival Style homes in Yalecrest. They are essentially a continuation of the wall above the roof eaves, breaking the line of the eaves. Wall dormers are less commonly seen than roof dormers. And unlike roof dormers, they generally offer little or no increase in floor space or head room.